Is your business as secure as you’d like it to be? 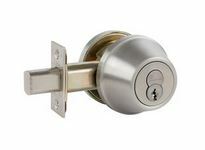 Southington Security provides a wide range of locksmith and security services for commercial, industrial, and business clients. 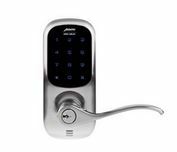 With our extensive product knowledge and installation expertise, we can efficiently and effectively handle any security needs you have. We handle Commercial Accounts, Contract Accounts, Contract Maintenance Service. We offer the best in what you need for the safety and security of your business – product, merchandise, exemplary customer service, and professional discounts. 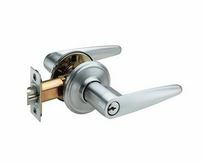 Electronic access control, Grade 1 hardware, Master key systems, High security and restricted key systems, keyless entry, Mortise locks serviced and installed, Keys made, Locks re-keyed, ADA hardware, door closers and continuous hinges, Panic hardware. The key ingredient to our locksmith and security business is customer service — providing what you need when you need it. Our focus is on offering the services you need, and exceeding your service expectations. Whatever your commercial locksmith needs, our 30+ years experience and commitment to customers enable us to consistently achieve this. For some of the services we provide, see Services. Bring us your security problems or questions! We can answer whatever questions you have. Whether you’re looking for a consultation or a complete site survey, we can help. We provide solutions, and we do it with an uncompromising commitment to quality and service. Call us at (860) 621-8233 or toll free 1-866-621-8233. You’re also welcome anytime to visit our store. Never get an answering service or a recording. You’ll always talk with us live!